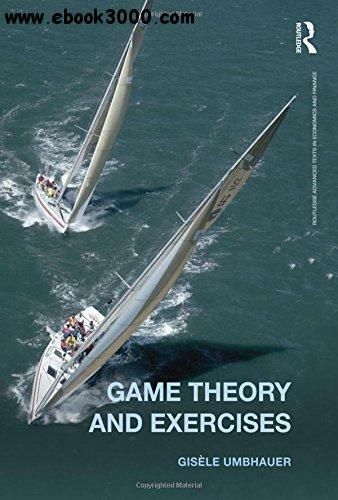 Game Theory and Exercises introduces the main concepts of game theory, along with interactive exercises to aid readers' learning and understanding. Game theory is used to help players understand decision-making, risk-taking and strategy and the impact that the choices they make have on other players; and how the choices of those players, in turn, influence their own behaviour. So, it is not surprising that game theory is used in politics, economics, law and management. This book covers classic topics of game theory including dominance, Nash equilibrium, backward induction, repeated games, perturbed strategie s, beliefs, perfect equilibrium, Perfect Bayesian equilibrium and replicator dynamics. It also covers recent topics in game theory such as level-k reasoning, best reply matching, regret minimization and quantal responses. This textbook provides many economic applications, namely on auctions and negotiations. It studies original games that are not usually found in other textbooks, including Nim games and traveller's dilemma. The many exercises and the inserts for students throughout the chapters aid the reader's understanding of the concepts. With more than 20 years' teaching experience, Umbhauer's expertise and classroom experience helps students understand what game theory is and how it can be applied to real life examples. This textbook is suitable for both undergraduate and postgraduate students who study game theory, behavioural economics and microeconomics.